Home Relationship HOW DO YOU MAKE A WOMAN HAPPY & EXCITED? 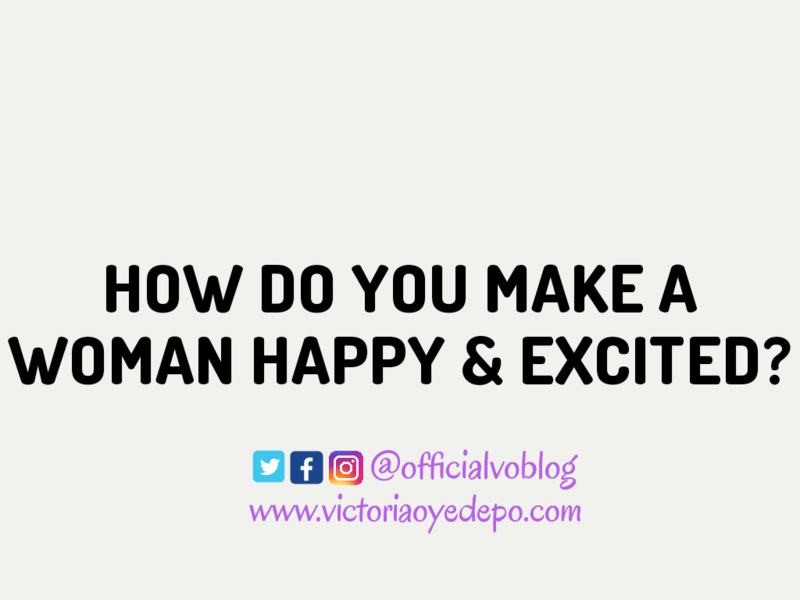 HOW DO YOU MAKE A WOMAN HAPPY & EXCITED? A friend was complaining the other day about his girlfriend, how she is by all accounts voracious and grouchy. Contrary to the popular belief that money makes a woman happy, I beg to differ. It's quite obvious that an average man and women still see a woman as property to be bought. Many women still believe in that thought. Money, Money, Money. Does it mean women cannot work and earn their own money? NO. Does it mean that even if you are a killer, cheater, and bad man as far you give women money it makes her happy? NO. What happened to attention, affection, working together, fidelity and seeking her views before taking any action. Women are not a thing to buy. That orientation needs to be changed. Does it mean all women with very rich partners are happy? NO. Just because we are all women doesn't make us all the same neither does it mean we all act the same way. We are all unique in our ways. 2. Time. Just give her your time. It's worth more than a lot of other things. 3. Respects her views and always be a good listener. 4. Help her grow, this should be vice versa since you are complementing each other. I work. I earn money. I have never been a fan of money. True care and RESPECT is what matters. PS: In all your doings, don't be a stingy partner. We will talk about what makes a man happy tomorrow as I will be introducing a guest writer. I'm not entirely certain I did justice to the issue so I have chosen to request the opinions of my revered readers. 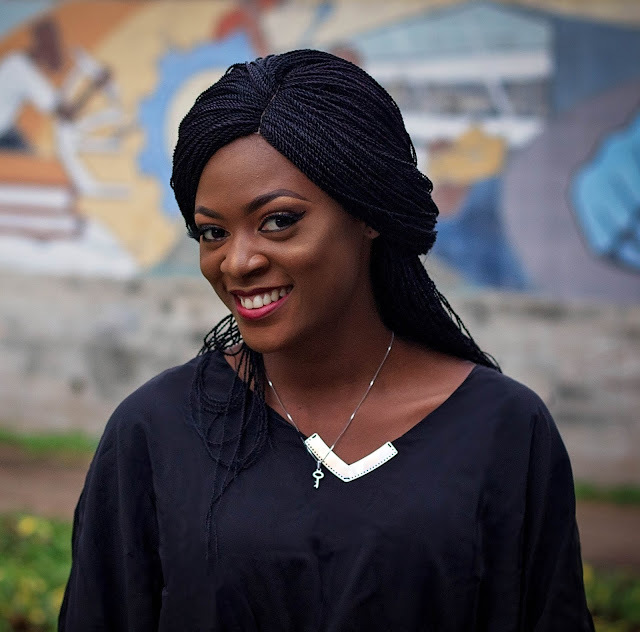 Kindly state what makes a woman happy in the comment section. TRUST in a relationship is very essential and also support her in almost anything she ventures into as long it's profitable to her and as well as reputable. What makes woman A happy, I believe, will be different from what makes woman D happy since all women differ and have their peculiar areas of being happy. You already stated that we should find those areas, discover it and place premium on it, now as a guy or man, let me say. Meanwhile, to me, I look for Understanding in any engagement with any female folk. I feel understanding is key where you both understand each other than anyone else. It is this understanding that will propel both parties to doing things for each other that will suit them, sweet things, better things and for the love of each other. At some point, money is required but it shouldn't be the sole base for the relationship to stand. Note: I said, "At some point" and to add, it is needed in the relationship but shouldn't be the bases of the relationship. Understanding goes a long way,it's also an essential element in a relationship. But I actually believe that, "money doesn't necessarily guarantee happiness, but you can't be happy without money" so I agree with you saying "...shouldn't be the bases of the relationship." Well said Vicky!!! There are other things that are "importanter"-Support, attention, listening to your partner's worries and encouraging her. Importanter🤣🤣 I agree with you. I'm still reading "Act like a Lady, Think like a man" and it's opening my eye to many things about how men are wired, what drives them and all. I'll make a review on it very soon. It's a broad and lengthy topic, I'll say people should find what works for them and stick to it. Be humble and teachable, guys should not overglorify themselves in relationships.Respect the minds of women, this is very essential.